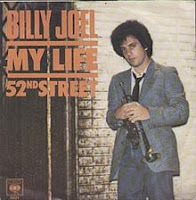 Songs from '78: "My Life"
This is the actual video, and it has all sorts of stylized tough-guy New York notes to it. But I think I still kind of like the vision of a young Tom Hanks in drag better. Songs of '78: "Radio Radio"
"Radio Radio" is one of those songs about our material and aural history--specifically, a song about the songs we listened to, and how we listened to them, and when we listened to them, and how they made us felt. I'm not sure any other technology ever has been so thoroughly entwined with one of its primary products--specifically, in this case, the pop songs that the radio brought into our lives. I'm thinking about Queen's "Radio Ga Ga" here, Rush's "Spirit of the Radio," and many more. But, in my opinion, "Radio Radio" beats them all. It's angry, excited, defiant, confused, and just overflowing with excitement over THE NEW SONG THAT JUST CAME ON!! It's my favorite track off This Years Model, which a lot of serious Elvis Costello fans will tell you is his very best album, and I'm not one to disagree (though my favorite is the experimental The Juliet Letters, for whatever it's worth). Costello is a brilliant songwriter and an often-brilliant musician, and this song showcases both. It was just his second album, and he was really beginning to his stride with his backing band The Attractions. 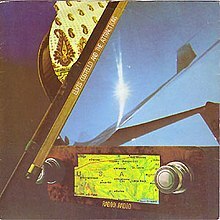 The song made it to America with This Years Model, but it wasn't released as a single until it came out separate from the UK version of the album on this day, 40 years ago. The video is classic early Costello: jerky, in-your-face, kind of weird, and ostentatiously playing with the images and references from the whole history of rock and roll. And the song itself...well, let's just say it's history in America has been...interesting. This performance got him banned from Saturday Night Live. But of course, wait long enough, and everything will come around again. Last time, talking about Chic's awesome disco tune "Le Freak," I confessed that as, a not-quite-10-year-old listening to rock music on my radio in Spokane, WA, I hardly received a thorough introduction to the world of pop music. Lots of bluesy, folky, proggy, and/or just plain hard pop-rock, yes, and lots of soulful white-boy soft rock too. But the African-American side of things--the R&B and funk roots of disco? Nope, not much. Hopefully I've repaired my less than perfect launch into the world of pop in the decades sense, though I don't repent of my love for Warren Zevon, The Cars, Al Stewart, Van Halen, The Who, Jackson Browne, or the Rolling Stones for anything. Still, looking back on it all, the skewing of my 1978-radio ear is really pronounced. Anyway, this is another song that breaks the pattern. Yes, it's a Bruce Springsteen song. And yes, by this point The Pointer Sisters had left their early years in jazz, gospel, and R&B behind, just going wherever their vocal muses carried them ("Fire" was the lead single off their album Energy, which also featured songs written by Loggins and Messina and Steely Dan). But none of that matters; the Sisters brought both torch-song heat and some wicked slow-burning fun to this tune--check out the video below, in which Ruth keeps playing the air guitar or the air keyboards while providing backing vocals--and, frankly, it's ten times more memorable of Springsteen's own rather desultory recording of the song, released nearly ten years after this gem. 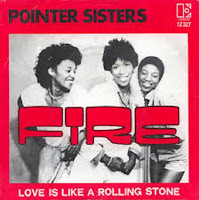 40 years after the day of its release, The Pointer Sister's "Fire" still burns.